Apple has been committed to health and fitness with the Apple Watch. Its Apple Watch-Move Promo was designed to remind users to "get moving" and not sitting still for long periods of time, and sources say that Steve Jobs himself influenced the Apple Watch in his battle with pancreatic cancer. Additionally, Apple's inclusion of built-in GPS in the Apple Watch 2, a move designed to help athletes travel without the need for Bluetooth dependence upon their iPhones, will pave the way for built-in GPS as a new fitness tracker buyer expectation in the coming days. Aetna is taking the Apple Watch 2 as seriously as Apple with its insured customers and staff. The insurance company is planning to offer the Apple Watch 2 at a discount to some of its 23 million insured customers, Reuters says. Whereas purchasing the Apple Watch 2 is currently a one-time full-fee affair, Aetna intends to allow certain customers to pay off their Apple Watch 2 in monthly installments -- giving some breathing room to those who'd rather pay each month instead of all at once. Additionally, the US insurance provider says that it intends to give the Apple Watch 2 away to its 50,000-strong workforce, meaning that those employees will have one more reason to enjoy coming to work every day. 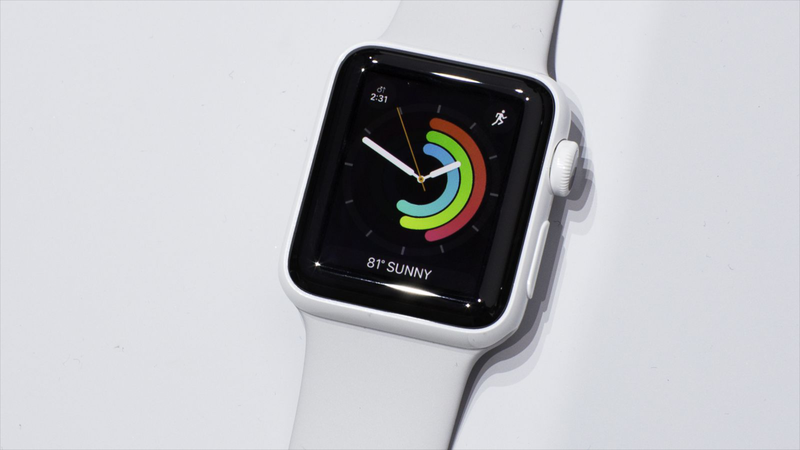 Aetna is the first business in the US to give away the Apple Watch for free, though Lockton, DaVita HealthCare Partners, and Amgen gave away the first-gen. Apple Watch [for just $25 if employees met certain fitness and health goals over a 2-year period]. Of course, these employees have to meet monthly fitness goals to forgo paying the additional $324 for the first-gen. Apple Watch, but Aetna employees will get it for free whether they meet fitness goals or not (though we're sure they want the best physical health for their employees). The Apple Watch 2 is an improvement over the first-generation Cupertino smartwatch, bringing 50-meter water resistance, the built-in GPS we've already mentioned above, a display that's twice as bright as that of the first-generation, WatchOS 3 with instant app launches, an app dock, new iMessage characters, Breathe app for stress, and SOS emergency messages that alerts your contacts in times of danger and risk. The Apple Watch 2 (or Apple Watch Series 2, as Apple calls it) retails for $369, with the first-gen. Apple Watch dropping in price to $269 (though the refresh includes the dual-core processor of the Apple Watch 2).